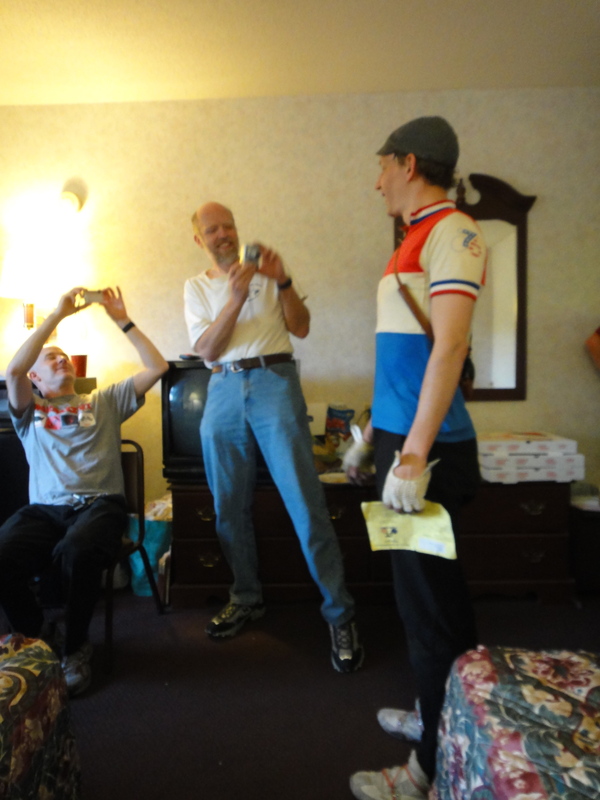 I know Felkerino will be doing a roundup of this brevet on my favorite news source, The Daily Randonneur, but until he does, here’s a quick summary from the stoker. 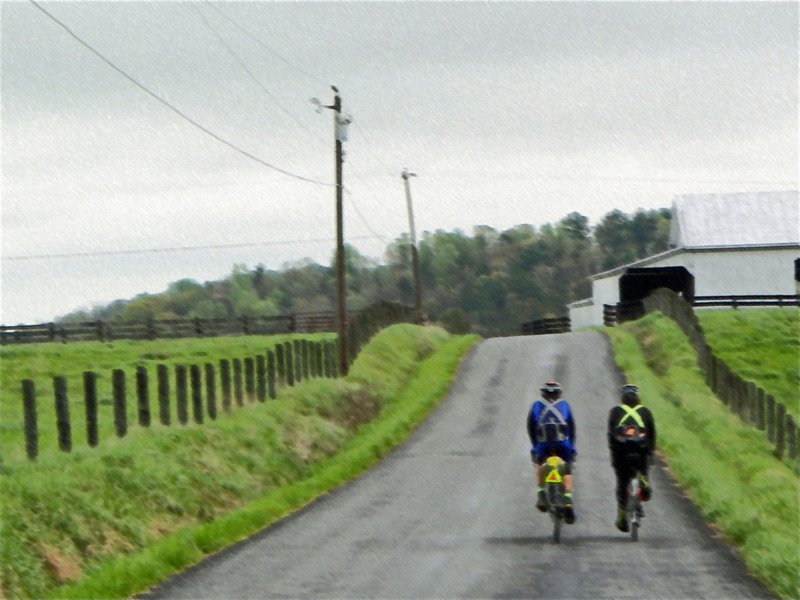 I had a tough time kicking myself out of my house at 5 a.m. to run off to Warrenton, Virginia, for the D.C. Randonneurs Old Rag 200K this past Saturday. It rained most of Friday, and Saturday promised more rain. Yippee. Oh well. Felkerino and I had pre-registered, our legs felt good, and we thought we’d give it a go. We packed up the Gore-Tex and off we went. 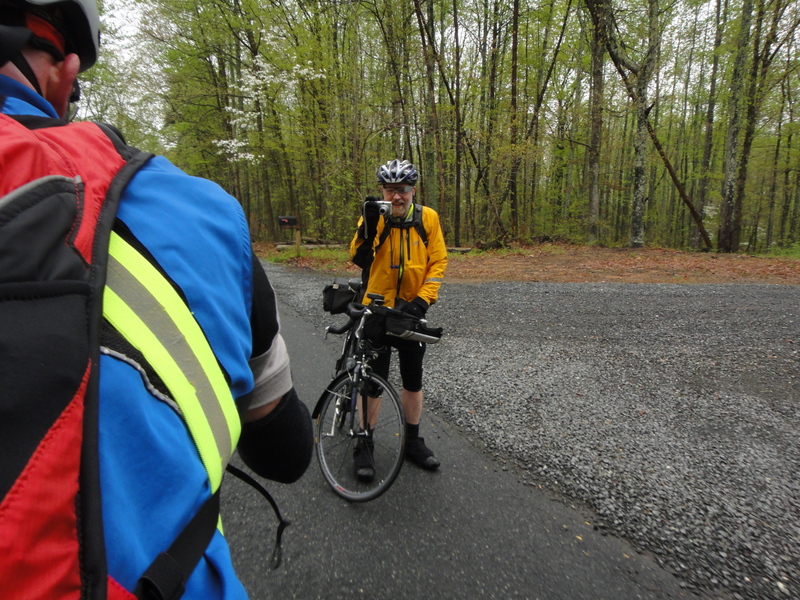 After checking in with ride organizers Chuck and Crista, we took off with 40+ riders into the morning cloud cover, wondering what we were in for. Turned out only a few drops of water fell and we spent a beautiful day on the bike with temps that quickly climbed out of the mid-40s into the 70s. 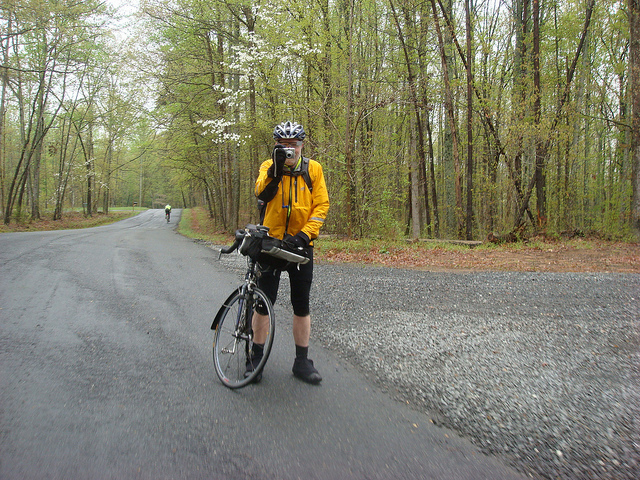 We rode through a course exploding with dogwoods, redbud, and pretty patches of tulips. Wait! That isn’t all! There’s more. Read on, my friends. In addition to the warm temps and dry day, even more happened to make this ride special. That’s right. Even more! We escaped the clutches of a determined dog. 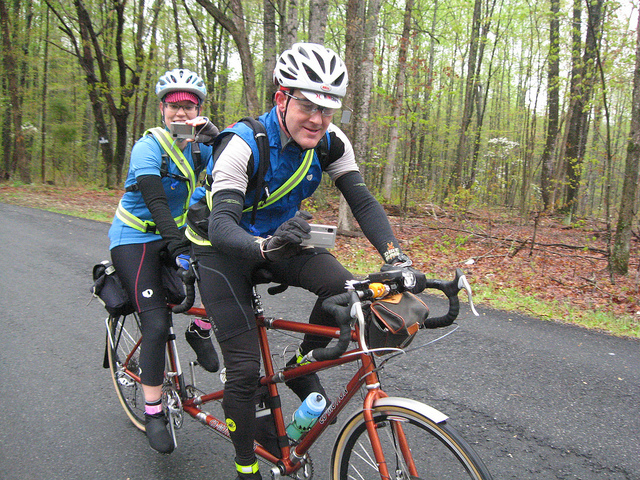 We got to see Chuck and Crista, the ride organizers, at various points on the ride. Crista at the top of Old Rag. Hi Crista! I saw my shadow. Only six more weeks of winter! Remember this? It’s called a shadow. I spent a few hours in the glorious sun, and the last 10 miles with bare arms and legs. I documented people documenting the ride. Meta randonneuring! 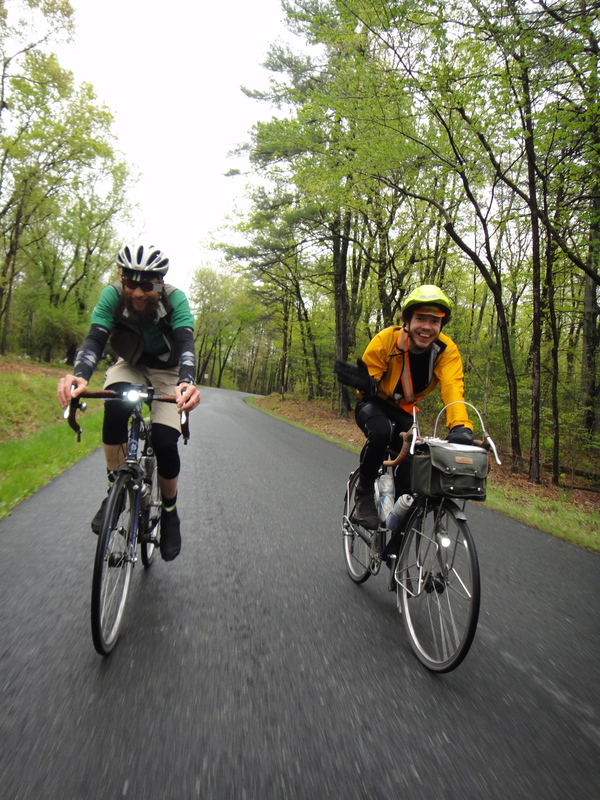 I spent the day in the good company of my randonneur spouse (who is also my real life spouse) and some good riding buddies. 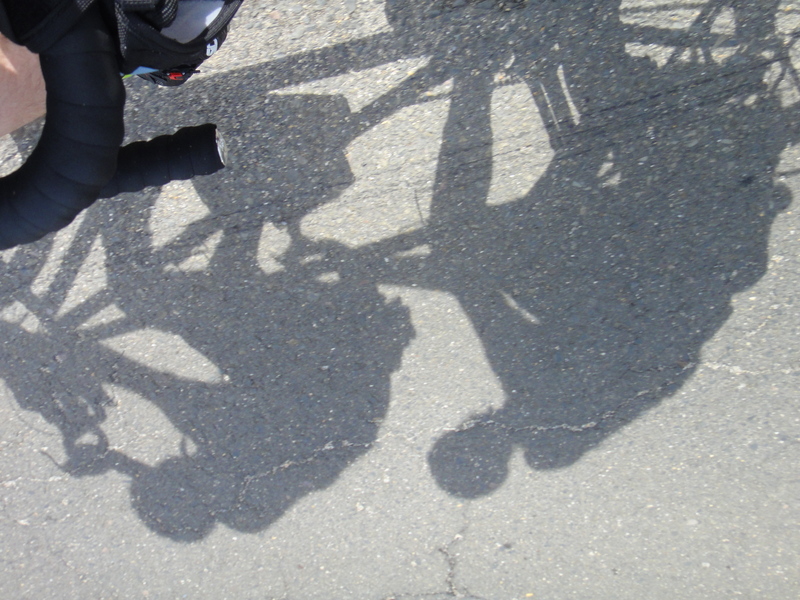 We rode much of the day with Alec, Lane, and Lowell, and frequently crossed paths with Charlie and Scott, too. Thanks to everybody who passed the miles with us and thanks to Felkerino for being an awesome captain. What a fun day! 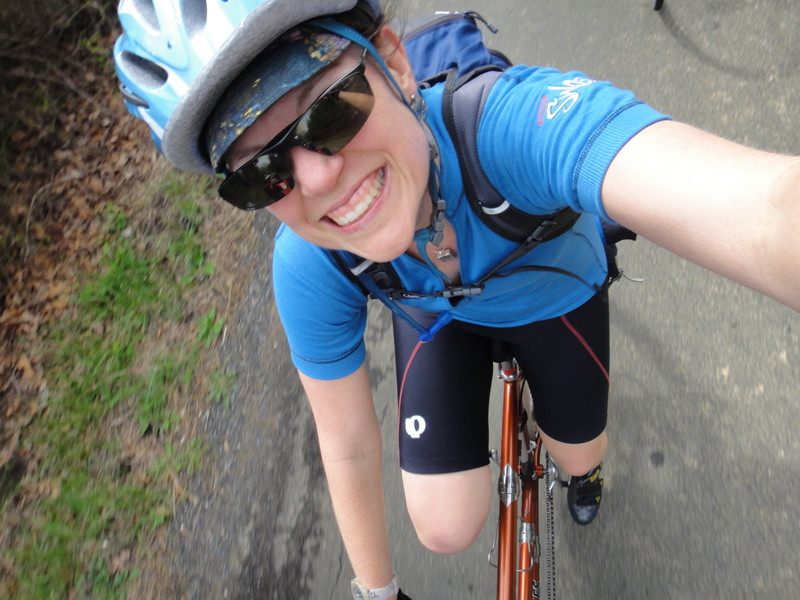 The humidity of the morning ebbed, the sun emerged, and I felt the toasty warmth of spring the latter part of the ride. Each mile felt better and better, despite the fact that the Carradice kept getting heavier and heavier from all the clothes we kept depositing into it. Even Piney Meetinghouse Road wasn’t so bad. My full set of pics can be found here, and Felkerino’s are here. Oh, and Bill’s pics are here. Now it’s back to the commute. See you out there! And watch out for the tourists!! I hope you enjoyed Spring. All 6 hours of it. 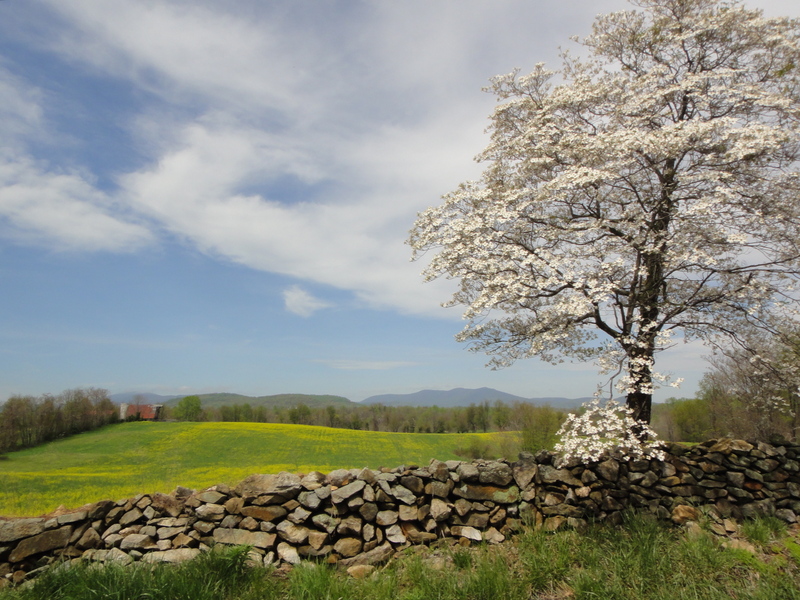 On to the swelering days of May! Ha ha!!! So true! What is going on around here? 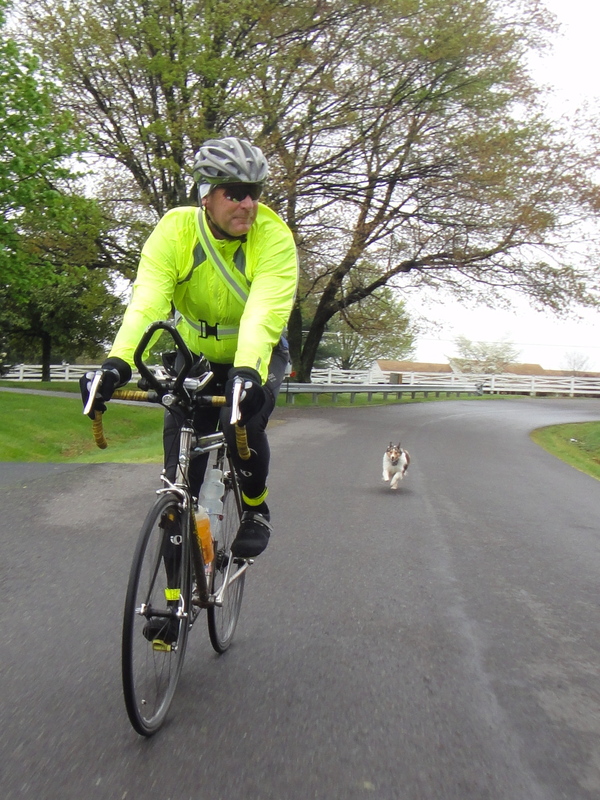 I pedaled through Warrenton yesterday on a ride significantly shorter than 200k. The weather was excellent and the views were fantastic! It is a great place to ride. Glad to hear you got out!